Qsync manages your shades from your tablet or smartphone! Relax from your couch and let QMotion’s Qsync advanced Shading System control all of the QMotion shades in your home. With ease of installation, industry leading battery life, and a near silent function, Qsync is one of the most advanced window treatment trends. This article will explain the Qsync transmission device and its accompanying mobile phone app that allows you to control up to 500 shades from one mobile device. Now controlling your blinds is easier than sending a text message! Turn your smartphone or tablet device into a controller for your QMotion motorized shades or blinds with the Qsync transmitter. Simply connect the Qsync transmitter to your ethernet and download the app to your phone or tablet. With a transmission range of fifty feet, lift and lower your blinds without moving from your comfortable position on the couch or scrambling for hard-to-reach windows. Use the Qsync wireless transmitter in conjunction with the QMotion app on your iPad, iPhone, or Android smartphone or tablet to control QMotion shades anywhere in your home. The hardware and installation is available from 3 Blind Mice Window Coverings San Diego and the app is free from the iTunes App Store or the Android Play Store. Once you set Qsync app up on a single device, the settings load to the other smartphones or tablets automatically. 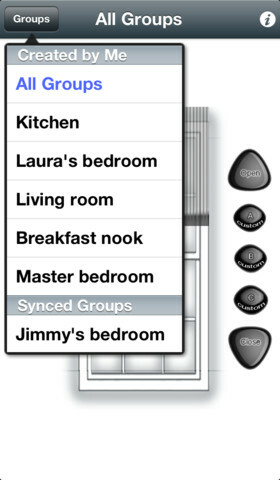 Control up to 500 shades or groups straight from your mobile device. TECHNICAL DETAILS: Qsync transmission range is 50 feet. If range is an issue, use a Qrelay to extend the range another 30 feet. You can use as many as you need to get the range you are looking for. 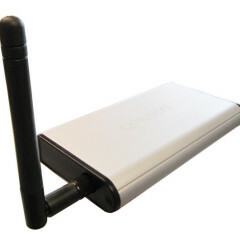 The Qsync is powered by a 9V DC connection and uses a Cat 5 ethernet connection. This is the best way to automate your window coverings because it can also tie in with your automation system with Qconnect, which can “talk” to any system via RS232, RS485 or dry contact. Qsync with QMotion Shading Systems are the next step to your fully connected home or office. Speak with one of our knowledgeable consultants. At 3 Blind Mice Window Coverings, we’ll help you select the best valance and material options for your needs.